Feeling a little washed out? 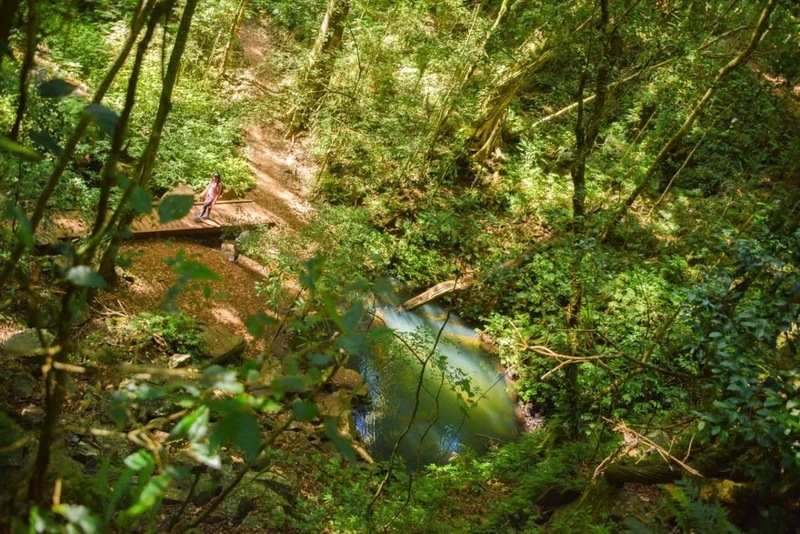 This traverse of the Bunya Mountains, with its captivating rainforest and sheltered watering holes, might just be the injection of green you need. 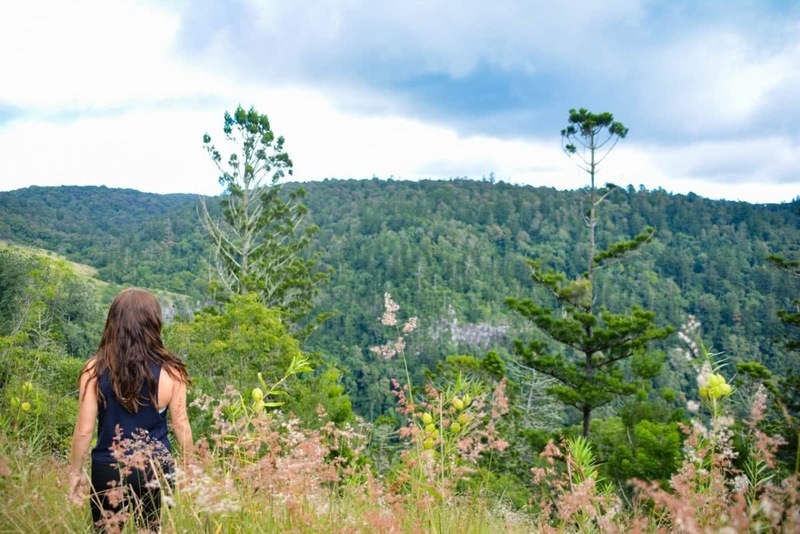 If you’re looking to get some kilometres on the legs, the Bunya Mountains is the perfect place to visit. 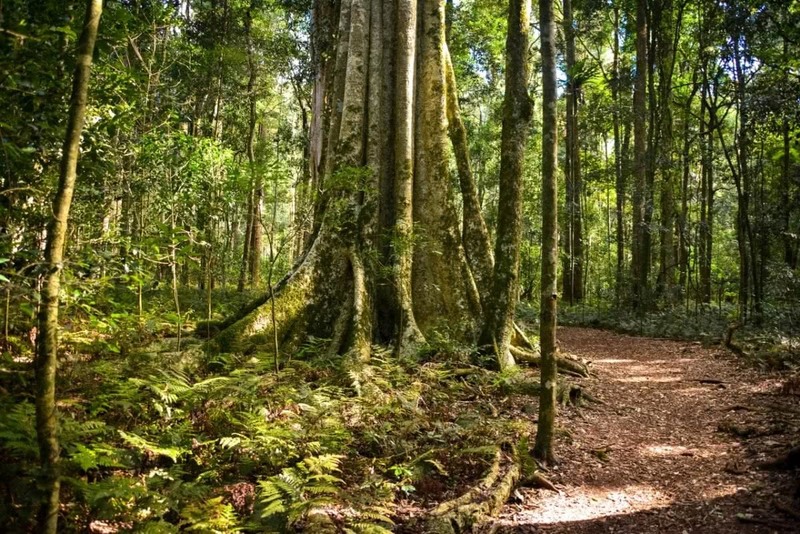 A decent 3 hour road trip from Brisbane via Toowoomba or the Brisbane Valley, the Bunya Mountains is ideal for beginner hikers with well-marked and gently undulating trails dotted with waterfalls and viewpoints. The Bunya Mountains trails link onto one another and you can return the way you came, walk back via the road, or even have a car at each end. I started a 17km hike from the Dandabah carpark and campground, beginning to stretch my legs on the first half of the Barker Creek Circuit. I headed down the lower track, passing Tim Shea and Little Falls, and veering off the track to Big Falls Lookout (although the falls weren’t running at the time). 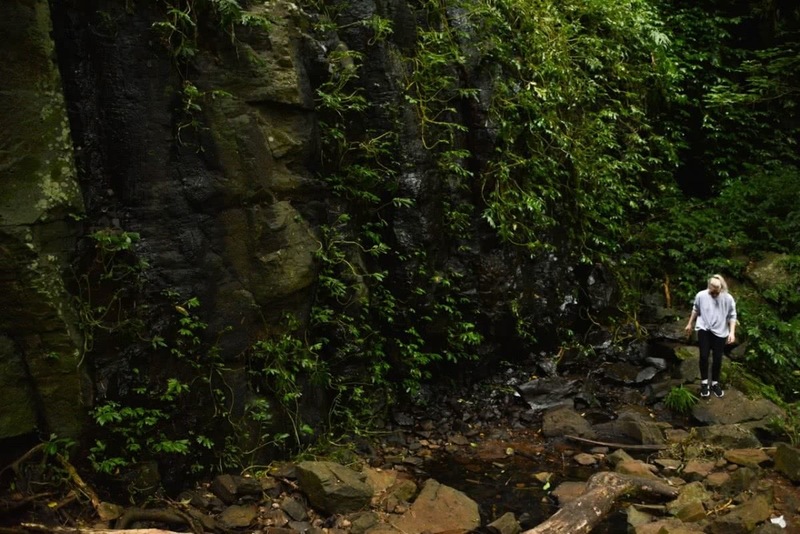 The Bunya Mountains trails offer hikers a diverse range of terrain. First you’re walking through winding forest trails past waterfalls, then the trails open up to grassy plains and dense rows of Bunya pines. Then you’re walking along a ridge line with views of the valley below. From the Barker Creek circuit, I came out at Paradise carpark, crossed the road and went along the Westcliff Trail, which offers valley views. From the end of Westcliff Trail at the Westcott campground, I looped onto the Kondaii Circuit. This circuit links onto the trail to Cherry Plain, but I opted to loop back at this point, return down the road and onto the top track of the Barker Creek Circuit to return to Dandabah and complete the day’s hike. 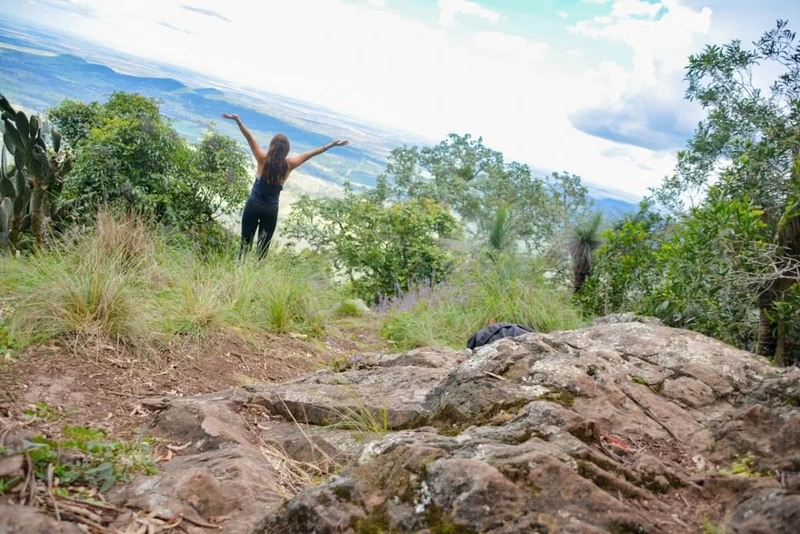 You can also opt to continue on up to Cherry Plain, Burton’s Well or Mt Kiangarow. From Brisbane, the trip takes about 3 hours. You can go two ways, via Toowoomba or via Brisbane Valley through Esk and Yarraman. The Yarraman way will lead you to a dirt road to take the final ascent up from Maidenwell. You can reach the Bunya Mountains via Toowoomba on sealed roads. Passing through Toowoomba, follow the Warrego Highway towards Dalby and then follow the signs to Bunya Mountains via Jondaryan. You’ll end up on Bunya Mountains Road, which gets narrow and winding towards the end. Park at Dandabah campground. 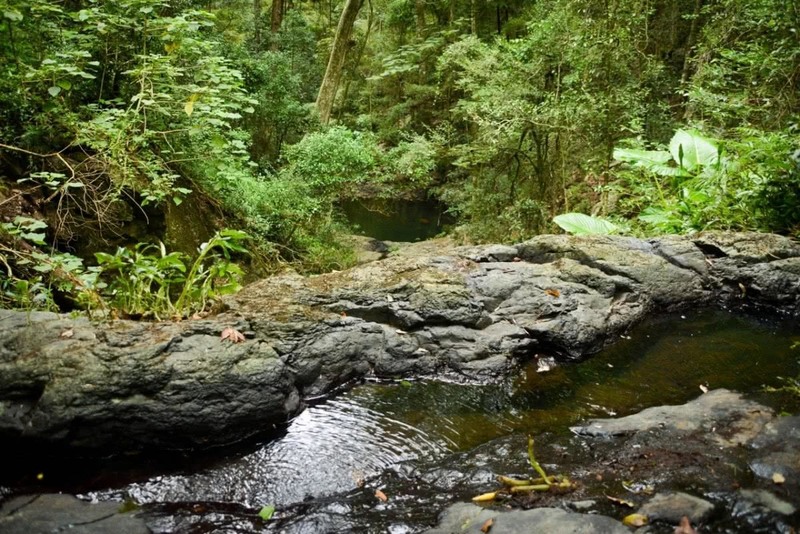 This hike will take about 4 to 5 hours and will cover 17km combining the Barker Creek Circuit, Westcliff and Kondaii trails. There’s an option to do shorter or longer routes dependent on time and fitness levels.